Before attempting to upgrade, make sure that you’re running the latest Ubuntu 14.04.4 LTS release and that all the updates released until today are installed. To do that, run the Software Updater utility from the Unity Dash and apply all the updates. LTS releases are all about stability. Because of these Ubuntu wait until the first point release of a new LTS before it tells users of the old one about it. To opt-in before then you will need to explicitly ask. First things first: make sure that you are fully up-to-date. Double check by opening the Update Manager application from the Dash. Wait for it to check, and then install any and all listed updates. Hit the return/enter key and, when prompted, enter your user password. The Update Manager application will open after a few seconds. It will double-check you’re up to date. It will display a prompt asking you if you want to upgrade. Just click the “Upgrade’ button to begin the process. 3. Sit back and relax! If you’re following this guide before release day the upgrade (which, of course, is not recommended) then your upgrade shouldn’t take too long over a decent connection. If you’re following this guide on release day (which is, of course, recommended) be patient: you are not the only one upgrading, and the servers will be under heavy load. The entire upgrade may take longer than usual to complete. Another point: while an LTS-to-LTS upgrade should keep all your files it is always recommend that you make a backup of any important documents, folders and photos before you begin. It’s rare for ‘direct upgrades’ to go wrong, but never say never. The instructions above are only for the desktop version of Ubuntu 14.04 LTS (Trusty Tahr), so if you have a server machine, and you want to upgrade it to Ubuntu 16.04 LTS, you can do that too by installing the “update-manager-core” and setting the “/etc/update-manager/release-upgrades” file to “lts“. In the terminal, execute the “sudo do-release-upgrade” command and follow the on-screen instructions. 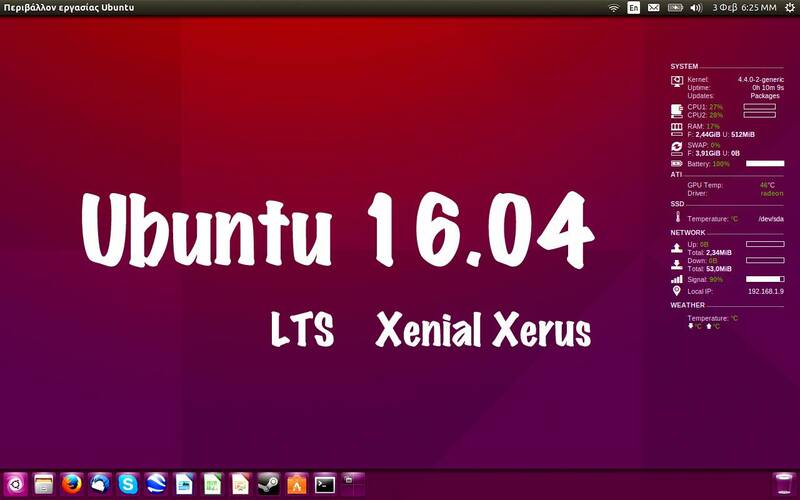 Again, when the upgrade process is complete, reboot the server to enjoy your brand-new Ubuntu 16.04 LTS (Xenial Xerus) operating system. Have fun, and don’t hesitate to comment below if you’ve encountered any issues.